"Mental Images. Icons of Contemporary History"
Certain images stand out from the flood of pictures that form our consciousness of the 20th and 21st century. For example the East German border guard leaping over the barbed wire fence into freedom, or Willy Brandt kneeling in Warsaw. The exhibition asks why these images are so powerful, looks at the history behind them and explores how they have become so well-known. COORDINATION translated the conceptual content of the temporary exhibition into a space of roughly 600 sqm in the Haus der Geschichte in Bonn and created a diverse and intriguing exhibition environment. 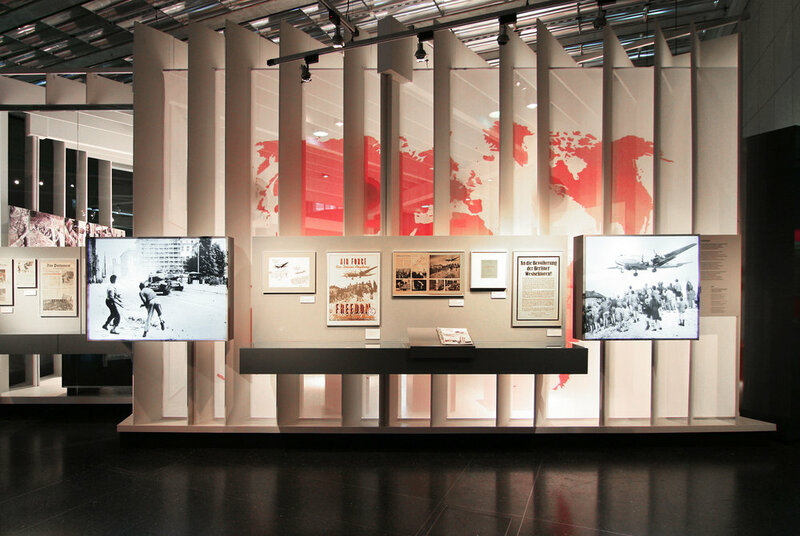 The centrally located ”Press Office” looks deeper into media imagery in the face of world events today through the use of facetted photo screens and media installations.